Woongjin Stars was a team with a rich history, and was home to some of the most wonderful players the scene had ever seen, but wasn't always the most well funded team, and as a result, had to sell their superstars to other more financially stable teams. Woongjin Stars was the starting point for numerous championship winning players such as Sync, GGPlay, GARIMTO, Reach, and Kingdom. It was also a team known for its rich lineage of great zerg players such as H.O.T-Forever, Junwi, GGPlay, ZerO, and Soulkey. If the ProLeague was more of a friendly environment for the zerg aces, Woongjin Stars might have thrived as a result due to their multiple generations of truly fantastic zerg players. Reach was a wicked one-versus-one ProLeague ace during this period of time, but what made him stand-out was his insane two-versus-two abilities, and he was quite possibly the best two-versus-two professional at the time (Reach did start out as a two-versus-two amateur specialist). As well as partnering up with H.O.T-Forever to create one of the best ever partnerships found in professional history, Reach was also the one-versus-one ace for Hanbit Stars (the name the team went by initially). The combined one-versus-one and two-versus-two prowess of this ProLeague superstar made Reach probably the most valuable single ProLeague ace during the first year or so of ProLeague history. There is a reason why Reach was the first professional in history to reach one hundred ProLeague victories (including two-versus-two matches). Although this series focuses mainly on the one-versus-one abilities of ProLeague aces, Reach is a special case due to his extra-ordinary abilities within both available game modes found under the ProLeague setting. After slightly less than a single year of fantastic ProLeague services for his home team, Reach was shipped off to KTF MagicNs to join the "Real Madrid of Korean e-Sports". 2004 was a truly unforgettable year for fans of Hanbit Stars. Not only did the team even the score with SK Telecom T1 for their heart-breaking ProLeague finals defeat in 2003 in the finals of the first ProLeague round, they also ended up winning the ProLeague Grand Finals for the 2004 season. It would be the only year that Hanbit Stars would taste ProLeague triumph in their vast and tumultuous history. The one-versus-one ace of this team, that started to lose much of its two-versus-two firepower after Reach was sold off to KTF MagicNs, was Junwi, who was a top three zerg player alongside YellOw and ChoJJa in 2003. Junwi was in the process of being ousted by newer generation of zerg players such as July and JJu, but he still had a point to prove by helping his team achieve their only ProLeague championships in their entire history. With the vast majority of the big name players leaving the team, and others such as Junwi losing their potency as players before being sold off, GGPlay had a lot of responsibility on his shoulders as the ace of the team. Sure, he had DaezanG and free to help him out, but that was hardly a world beating trio during this period of time. GGPlay was able to drag his team to the play-off stages a couple of times, but nothing more than that. GGPlay was called upon to represent his team come rain or shine for two consecutive years, and performed admirably, but alas, the toil of being the only proper one-versus-one threat on a mid-placing team probably hurt his win rates more than it would have on a deeper roster. Just like GGPlay before him, free was given the role of being the only source of major one-versus-one firepower of his team for years on end, and was sent off to do his duty for his team whatever the situation. 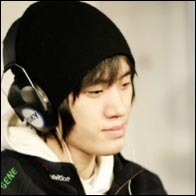 Although ZerO was a promising zerg player towards the end of free's time as the clear ace of Woongjin Stars, he was still struggling to maintain a 50% win rate. Although the heavy ProLeague duties hurt his win rates, free managed to gather more ProLeague one-versus-one victories during his reign as the ace of his team than any other player aside from the LeeSsang duet. ZerO was the second best ProLeague zerg player after Jaedong, and did what he could for his team, but Woongjin Stars was stuck in the same rut of having not enough good players, and their main star being overworked and over-burdened. ZerO did have Soulkey as his protege, and the trio of ZerO, free, and Soulkey was a decent enough threat, but Woongjin Stars severely lacked firepower from the terran camp, and to be quite honest, it was next to impossible for a team to win the ProLeague championship without a strong terran presence. 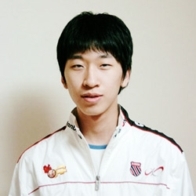 Soulkey was the next hope for the zerg race alongside Hydra, and was known mainly for his magnificent performance within the zerg-versus-terran match-up. He was able to match Jaedong's record in the ProLeague for this particular season, something no zergs managed to do since Luxury for a single ProLeague season in 2008. There is little doubt that Soulkey probably would have gone on to be the next ProLeague ace for his team, his Brood War career was cut short, and Soulkey had to make do with making a name for himself within the Starcraft 2 realm, which he did admirably despite coming relatively late to the scene. As you can see, Woongjin Stars was a remarkable team that managed to raise homegrown talents non-stop, mostly from the zerg camp, but was constantly plagued by relatively weak terran line-ups, which happened to be the most broken race within the ProLeague scene. 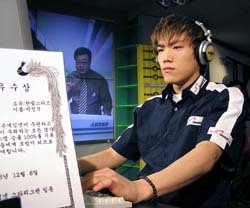 Outside of Silent_Control, who was promptly sold-off to Pantech and Curitel Curriors after his decent performances, Woongjin Stars rarely had a terran superstar at their disposal, something which they attempted to correct by buying Light towards the end of their run, but that was in 2011, when rumours of Starcraft 2 replacing Brood War was already rampant. One of my favourite teams mainly due to their ability to churn out talent non-stop, especially intelligent zerg players.